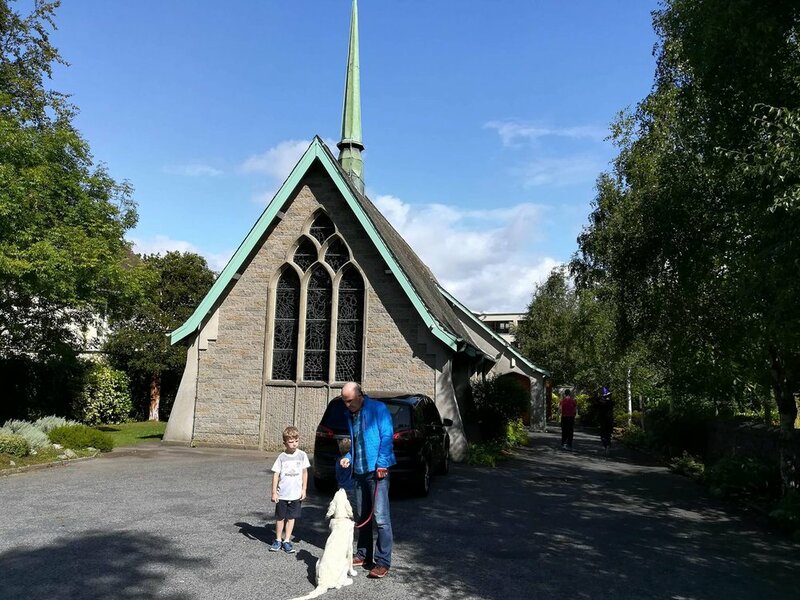 Having heard all the rant and rave about the CE team to Malahide and Howth Presbyterian churches, this year I decided to jump at the chance to travel to Malahide and serve alongside Alastair Dunlop and his family. The only experience of mission work that I had was XPression, which is obviously very close to home, so I had my worries about being away for the week, especially working at Going Bananas Kids club, which, as the name suggests was indeed absolutely crazy! Working with the kids undoubtedly brought its challenges, some of which I’ll talk about later. On the other hand, it was amazing to be able to stand up to those challenges, knowing God was behind us all the way. The morning after New Horizon, most people spend recovering from the sheer sleep deprivation of the busy week – not so for the Malahide team. On the road early, we attended both Malahide (where we stayed) and Howth (the partner) churches. Yes, Alastair does the same sermon at both, but hey, we listened twice! The welcome we received was amazing; for only being a few miles “down the road,” the people are so appreciative of our time and effort with the club. David McClelland also ran daily devotionals during the week, where we took the book of 1st Peter and discussed different aspects in our small groups. 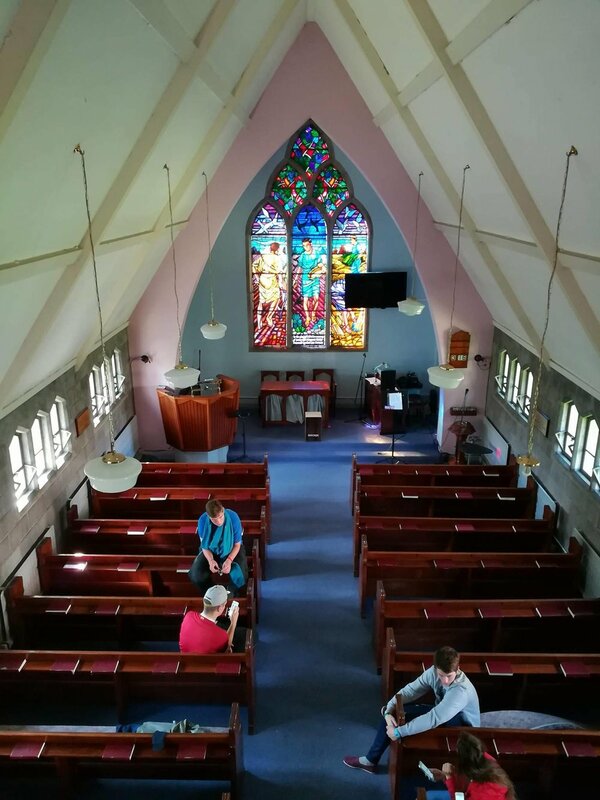 One of the nice things about staying in the actual church was that if you wanted to sleep, you could, and I seized the chance on the first night. The club itself, as rumour has it, consists of many different activities. From the impeccable Malahide Drama, to the indescribable joy that is the Funky Chicken, led by one of two reliable Winter’s. The club takes a lot of preparation work, effort and energy. 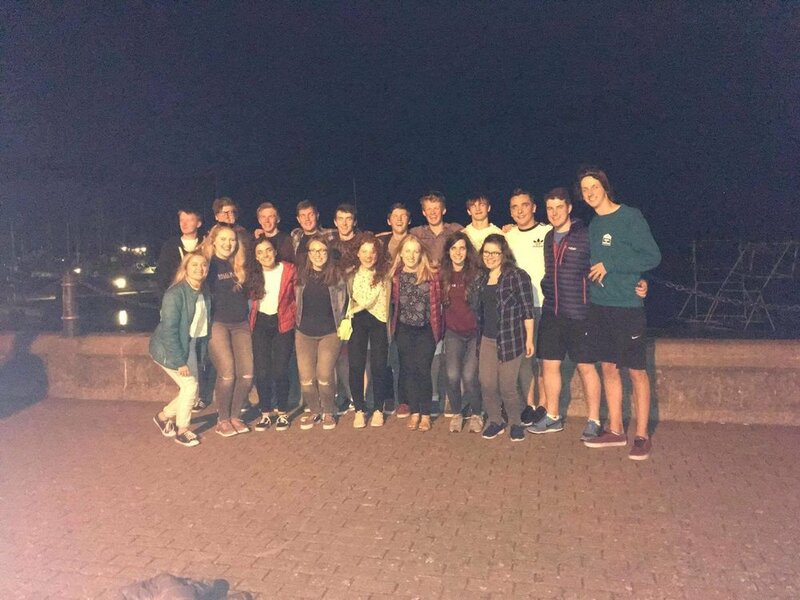 Don’t be fooled – Malahide is as energy-consuming as any international mission team. Every day the team presented the story, teaching and crafts, as well as smaller group activities. Often, it was in these smaller groups that the most challenging and most rewarding parts happened… For me, the biggest challenge arose in the final day of club, when a combination of leaders being tired and the kids being unsettled led to a few disheartening questions from the kids! But none the less, some of these questions were amazing to have the opportunity to answer. It’s often said that Ireland is one of the most unreached countries in Europe, but, this doesn’t prepare you for the sheer lack of knowledge that the kids have! It’s actually quite scary at first! Another major challenge for me was being away from home while receiving results. It’s not easy no matter where you are, but being with great friends on the team definitely helps to distract your thoughts! Some of the highlights of the trip were the drama, sports afternoon and endless milkshakes. Although the drama is sometimes criticised for being a “faffing” session, it is amazing to see the kids get involved and take away the message. On the Tuesday afternoon, in the grounds of Malahide castle, most of the club came to the sports afternoon; we were blessed with fantastic weather, without which, the sports afternoon wouldn’t have been possible. The milkshakes were a well-deserved reward, and I’d personally recommend the Kinder Bueno one! The Malahide team is rewarding. Coming home and (after several days of sleeping recovery) considering the impact that has been made over the course of the week brings a smile to my face. I’d really encourage anyone to take the step of courage and go on one of the mission teams with CE or your own church. They change your perspective for the better, and ultimately give you the chance to grow closer to God, while serving Him. A true reflection is never complete without a Bible verse, and I’ll tailor this one to people like me. If you’re like me, you can talk to anyone or anything, and it doesn’t bother you. However, place me in a situation with LOTS of people I don’t know, add a heap of responsibility and finish with a sprinkling of worry and doubt, and it’s a different story. God wants us to put ourselves out there, place ourselves where we feel uncomfortable and trust Him as we do it.